This Latin Dictionary and Grammar offers the student of Latin the essential two-in-one reference: a comprehensive Latin to English and English to Latin dictionary and a user-friendly Latin grammar in one handy volume. 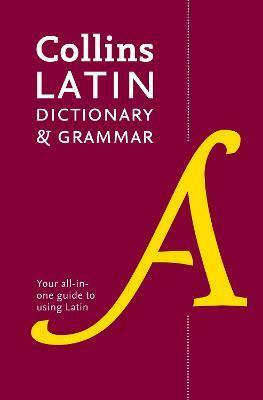 Designed for students of Latin this is the ideal text for anyone who needs easy access to both a dictionary and a grammar reference guide. * Offers comprehensive treatment of the vocabulary of texts read in school and university. * The perfect complement to the dictionary - a comprehensive grammar guide which presents detailed verb tables covering 120 regular verbs and over 300 irregular verbs. * The clear layout ensures that users find the information they need quickly and easily.